I tend to change my home around more often than the seasons, but I thought it was a fitting tribute to the beautiful fall weather we’re having here in Savannah to bring in some autumnal hues to our living room. 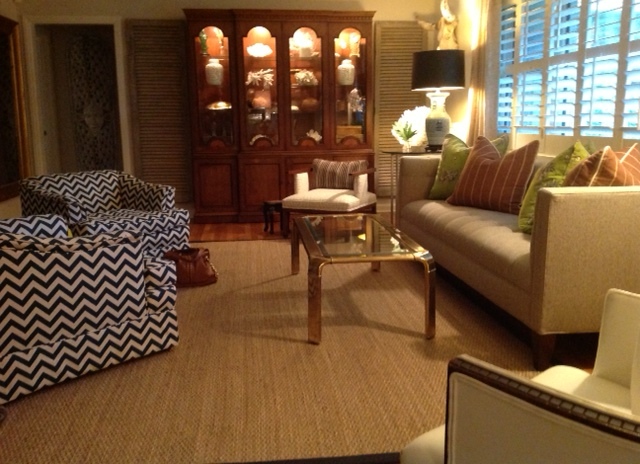 Some deep browns look great against the seagrass rug and calm, subtle pops of green. I don’t think you have to change your home’s look every season, but sometimes it gives a little kick to a space when you move some furniture around or change out some pillows and accents. Keep signature pieces and pieces you love and just spice them up! Happy Fall, y’all! Prev Post: The New Althea Project Gets A Facelift, Too! Next Post: A Sneak Peak Inside Our New Store….